Whitney received her Doctorate Degree in Physical Therapy from Elon University in 2012. She also holds a Bachelor of Science Degree in Health Science from Clemson University, which she earned in 2009. Whitney joined KidSprout Therapy in 2015 after working for two years as staff recruiter for Camp Greystone. She loves working with children and believes that every child develops at their own pace, has individual talents, and learns in unique styles. 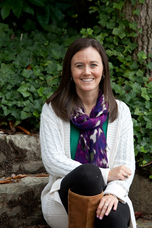 Whitney has pediatric experience in both the outpatient and early intervention setting. She especially enjoys the early intervention setting as it allows her to work with children in their natural environment and develop relationships with the family as well. Whitney has a broad area of interest and experience that include working with children with cerebral palsy, torticollis, developmental delay, Down Syndrome, hemiplegia, hyper/hypotonia, and orthopedic involvement. She firmly believes therapy outcomes are most successful when parents/caregivers are part of a collaborative effort with a child’s care team, and works hard to empower them to be active participants in the child’s therapy. In addition to working with infants-toddler and their families, Whitney enjoys spending time with her husband and new baby girl they welcomed in November. As a family they enjoy cheering on the Clemson Tigers and being involved in their local church.